This small cosmopolitan mountain village whose reputation is no longer to be made, attracts travelers from all over the world. Mont Blanc is omnipresent. Mountaineers from around the world climb the mythical summit at 4810 meters but it is also possible to get close to it from the Aiguille du Midi at 3842 meters for the less adventurous (accessible by cable car). In the pedestrian center of Chamonix you will find all the shops, restaurants, bars, animations ... at the top of your expectations. In winter, the valley of Chamonix offers several ski areas known worldwide. Depending on your level we can refer you to a particular ski area. 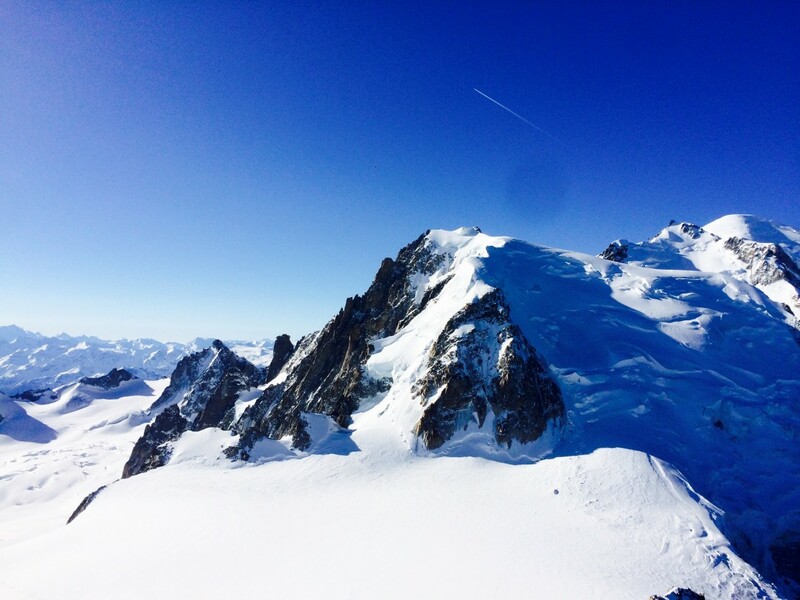 Mythical in Chamonix, the valley Blanche (off-piste) is an unmissable itinerary! If you wish to take a guide, we advise you to turn to the “Compagnie des Guides de Chamonix” (Chamonix’s Guides Compagnie). Their office is located close to our hotel. For ski hire, we have a partnership with a ski-shop located 150 meters away from the hotel. We will give you a voucher once you arrive at the hotel, with which you can have a 20% discount on the hiring. We also provide ski lockers with shoe dryers for our guests. In summer, many hiking trails will delight beginners as well as experienced. Many sporting activities are also present in Chamonix: paragliding, rafting, mountaineering, climbing ... If you want to request a guide, we recommend the “Compagnie des Guides de Chamonix”. When two young English aristocrats, William Windham and Richard Pocock, discovered the “Prieuré” of "Chamouni" in 1741, they do not suspect their story of this small mountain village, theses peaks and glaciers, will spread in Europe and in the whole world. Very quickly, rich tourists mostly English come to admire the mysterious “Mer de Glace”. They create a demand for the crystal craftsmen and the hunters of the Valley who become their guides. The first inn opens its doors in 1770, and marks the beginning of a simultaneous development of the hotel and the ascents of the massif. The conquest of Mont Blanc by Jacques Balmat and Michel Gabriel Paccard in 1786 sealed the fate of the small mountain village. In 1821, the Compagnie des Guides de Chamonix was created, responding to the growing attraction of tourists who want to discover this village among the glaciers. Infrastructures are created, facilitating access to the valley. The myth of Chamonix is born.